Ezra loves food as long as he doesn’t have to eat it. He enjoys grocery shopping, helping us pick out and name fruits and vegetables as we work our way through the produce, he likes cooking with us, and loves pretending to prepare and serve meals and desserts in his play kitchen and “restaurant.” Despite nurturing his interest in food, most foods he’s offered, selects and helps prepare go untouched. Ezra has never been an adventurous eater nor has he ever seemed too hungry – he certainly comes by both traits honestly – but he used to eat a wider variety of foods. If he could choose, his current diet would consist solely of O’s cereal, grilled cheese, pancakes and quesadillas in heavy rotation. I know this is a common phase for children his age, but it’s still concerning to Garry and I nonetheless. His diet as a toddler was a better reflection of the meals we prepare for ourselves: he ate beans, yogurt, hummus, salsa and eggs. We do introduce fruits and vegetables via baked goods like muffins and quick breads, we have tried finely chopping broccoli into his quesadilla without success, and he will eat bananas and grapes. But for the most part, his diet lacks color with its accompanying nutrients and vitamins, and there isn’t a single vegetable in it, unless you generously include the occasional French fry with ketchup. The only time his diet isn’t a concern is when he turns down juice, Halloween candy and chocolate donut holes. The one area we’ve truly had success in broadening his diet is with smoothie popsicles. He loves them. For a while, I crossed my fingers and held my breath everyday that he would continue eating them. But I needn’t have worried. Since we introduced them at about age two he has enjoyed them. All amounts are approximations. If I remember, I'll typically add ground flax seeds. 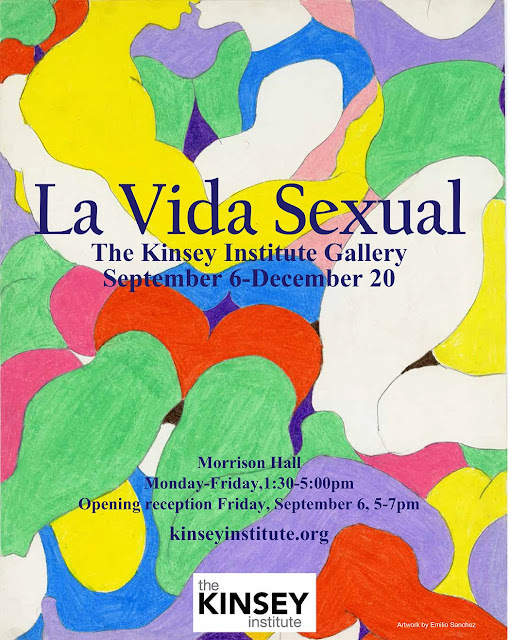 New Exhibitions at The Kinsey Institute: "Past/Present" and "La Vida Sexual"
© Garry Milius, Amanda Posto and Postilius, 2009-2014. Simple theme. Powered by Blogger.